Can't get this Marin County Building out of my head. 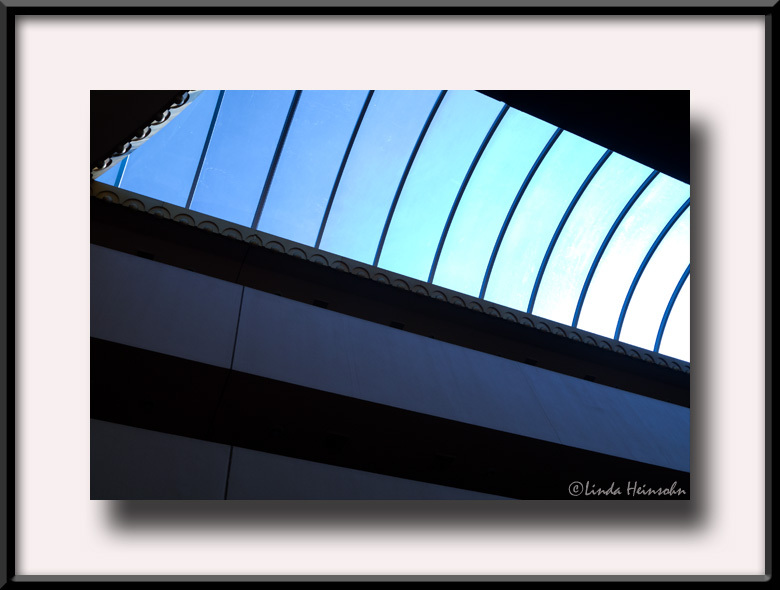 Here's another image made from the first floor of the Marin County Civic Center (Frank Lloyd Wright designed) looking up past three levels of balcony to the skylight. I was incredibly lucky to be able to be there on the one day of the month the tour was scheduled and to have the time, in a small tour group, to take plenty of photos. I was also fortunate to have a brilliant, sunny day, which gave me such stark images when shooting up into the light. In post, I adjusted Levels just a tiny bit toward blue. And cropped until I liked the flow of the shot. Otherwise, this is as I saw it that day. A tad dark, though, so perhaps it won't be a long-term favorite. But for now, yum!